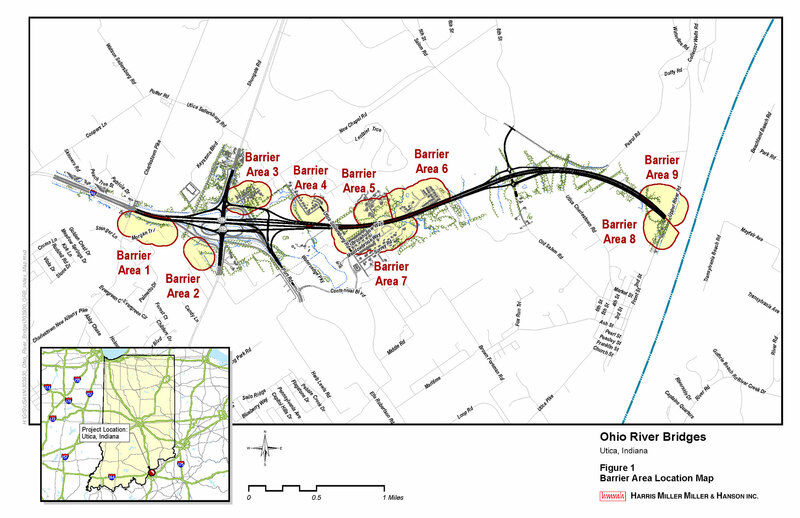 HMMH conducted the final noise analysis and final barrier acoustical designs associated with the Louisville-Southern Indiana Ohio River Bridges Project in Clark County, Indiana. The project involved a new location roadway with multiple interchanges. The purposes of the study were to identify noise impacts and determine whether feasible and reasonable noise abatement could be provided based upon FHWA and Indiana Department of Transportation criteria. The project area was divided into nine barrier areas. Although five of the nine barrier areas had noise impacts totaling 100 receptors, no noise barriers were found to meet the criteria.